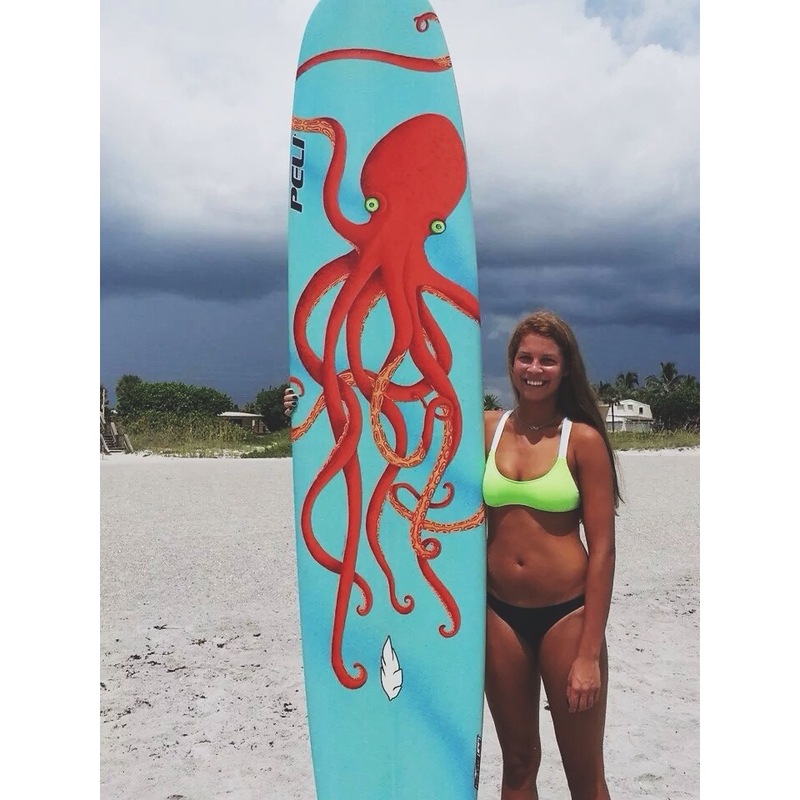 If you follow me on Facebook then you would have seen my new custom painted longboard surfboard! My father has been surfing for a very long time and I have tried it once or twice before but this summer I really wanted to get into it and it was soooo fun! After several times of surfing, my father thought it would be best for me to get my own board shaped to best suit myself. Therefore, Peli surfboard out of Cocoa Beach, Fl shaped and did the blue base coat for my board. 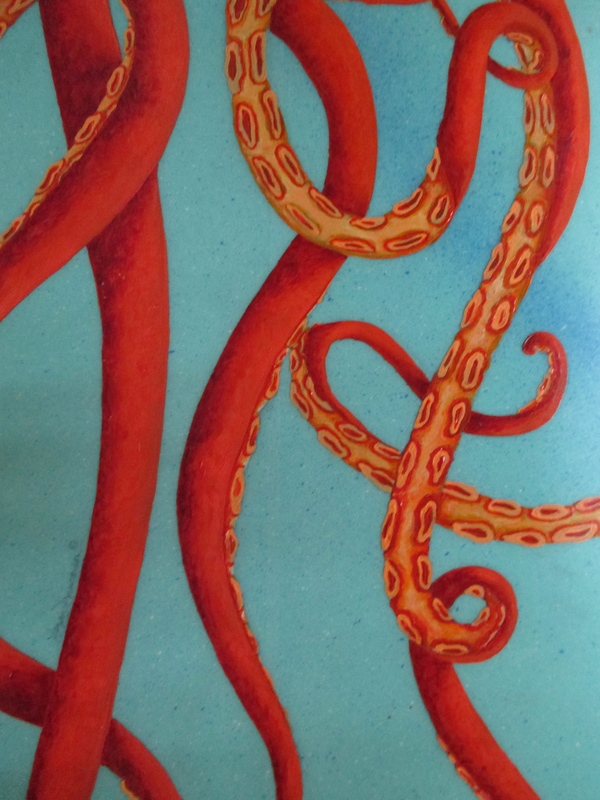 The octopus was an idea of mine that came from lots of research on surfboard designs. There was one image of a giant octopus spread out over the entire board, and I loved it! 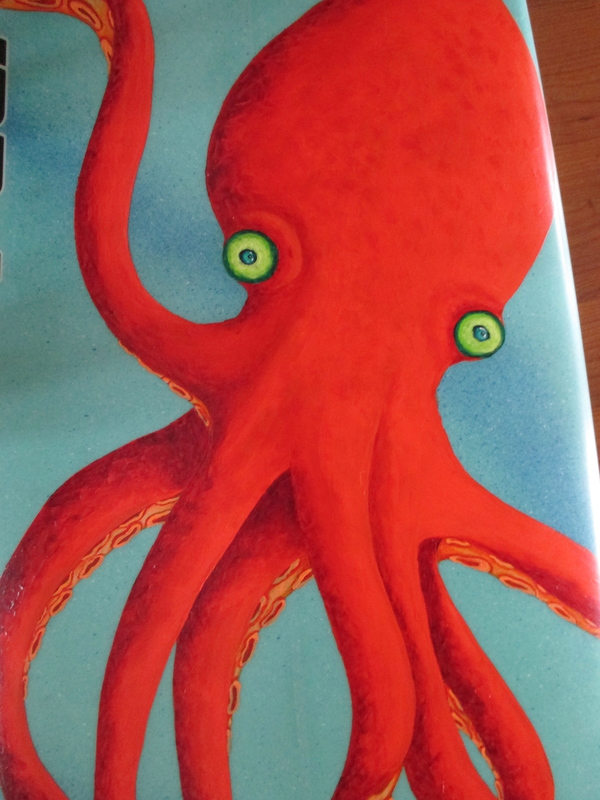 So I asked my mother, of MADart, to design this amazing octopus. And the final piece is absolutely amazing! The first time using my new board! I will try to get some photos of me actually surfing on this board! I have only been able to take this particular board out once, but the board is amazing! Peli did a great job and the artwork is stunning! 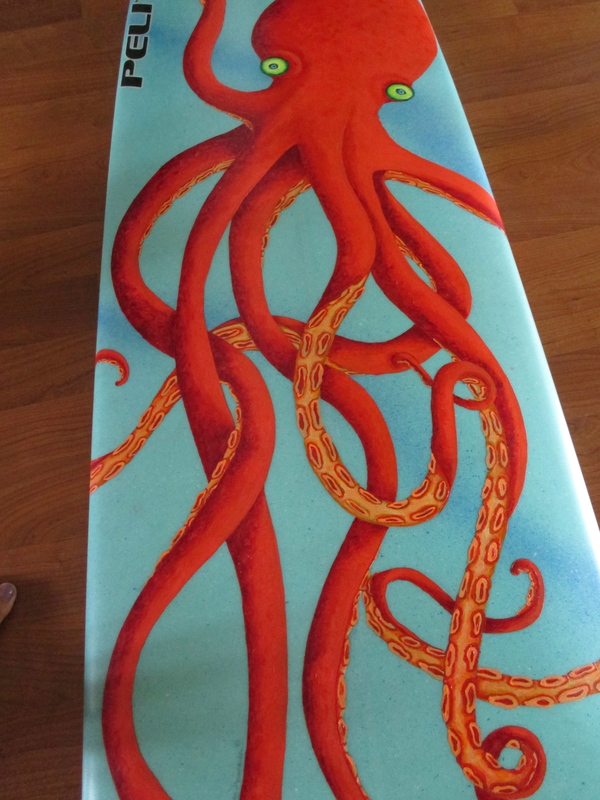 My mother used acrylics to paint the octopus, and then the surfboard makers applied several top coats to set everything in. That is amazing! I love the octopus drawing! It’s gorgeous! This is awesome! I would hang it on the wall as artwork when you’re not using it! 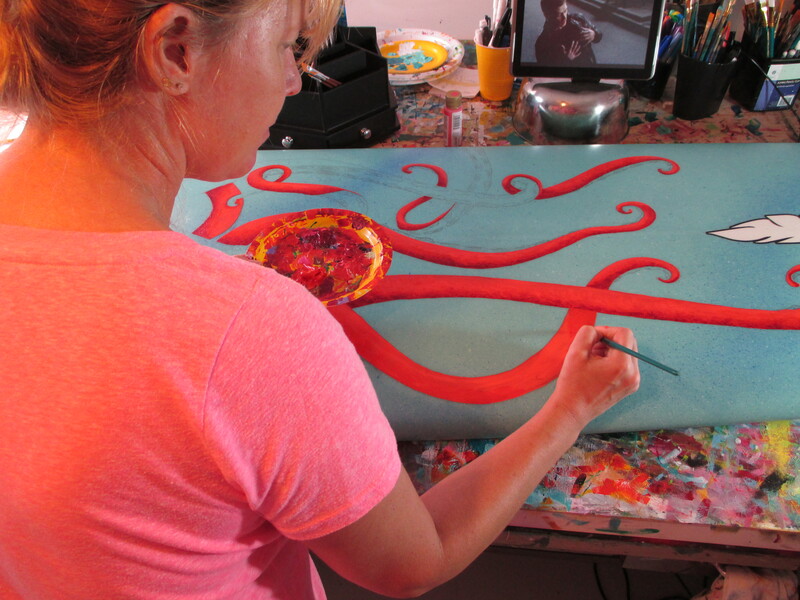 Your mom is super talented, the octopus looks amazing and I love the orange and blue combination. Good luck with the surfing, so exciting!